A drug dealer who had established himself in the home of a vulnerable person in St Leonards – a practice known as ‘cuckooing’ – is now in prison. Tendai Davis Smith, 19, of Goldney Road, Westminster, pleaded guilty to two charges of possessing class A drugs with intent to supply and one of possessing criminal property, namely £600 cash, when he appeared at Lewes Crown Court. He was sentenced to three years for each drugs offence and six months for the criminal proceeds offence, all to run concurrently. And after admitting similar offences in the Metropolitan Police area, Smith was further jailed for an extra two-and-a-half years to run consecutively, meaning a total term of five-and-a-half years’ imprisonment. 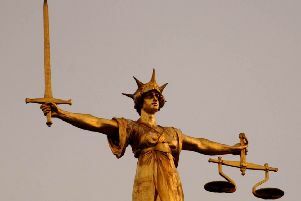 Sentencing for all matters took place at Oxford Crown Court. When arrested at an address in Silchester Road, St Leonards, on January 5 this year, Smith was found to be in possession of 28 individual wraps of heroin, 57 wraps of crack cocaine and a 3.24 gramme package of crack cocaine – all Class A illegal drugs. Smith, a ‘county lines’ offender, was ordered to forfeit the cash and an order was made to destroy drugs and mobile phones seized from him. The term ‘county lines’ is used where organised crime groups establish and operate a single telephone number for customers ordering drugs, operated from outside the area, which becomes their ‘brand’. Unlike other criminal activities where telephone numbers are changed on a regular basis, these telephone numbers have value so are maintained and protected. It is not a new phenomenon and is not confined to Sussex, police said. Police added that London-affiliated gangs have been seeking to establish drug distribution in Sussex and elsewhere in the South East for several years, although activity has increased in the past two or three years, sometimes involving the use or threat of violence.